With over 700 islands in the Caribbean family, how does any one stand out? Especially if you’re Trinidad and Tobago: like a distant second cousin with a wild reputation, who’s probably the coolest relative and claims to throw the biggest Carnival party, but remains an un-visited mystery. Yet the country is such a composite of Caribbean life – idyllic, untamed, cosmopolitan, under-developed – that it should be the first country you visit in the region. And the one that leaves the biggest impression. Trinidad & Tobago was my first introduction to Caribbean life, and I can’t imagine finding the same warm, un-staged welcome anywhere else. 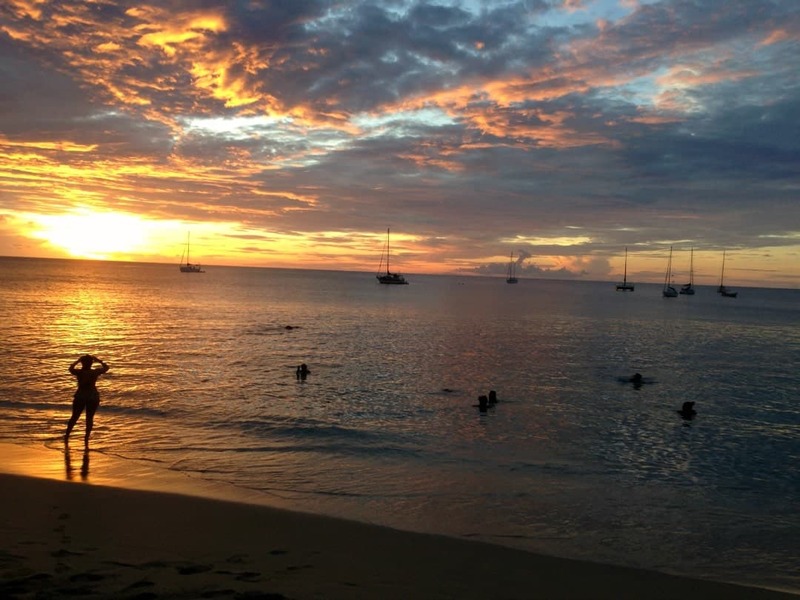 A beautiful sunset at Mt Irvine Beach in Tobago. If all you know about the country comes from news headlines, you’ll never visit. Murderous stories in the national paper don’t explain that violence is drug-related and rarely affects foreign visitors. While the absence of a large tourist population makes it difficult to blend in, use common sense and you should never feel unsafe. Especially with so many helpful, chatty locals to look after you. (Plus, all those deadly things in other places – malaria, venomous spiders, large predators, holes in the ozone layer – don’t exist here). 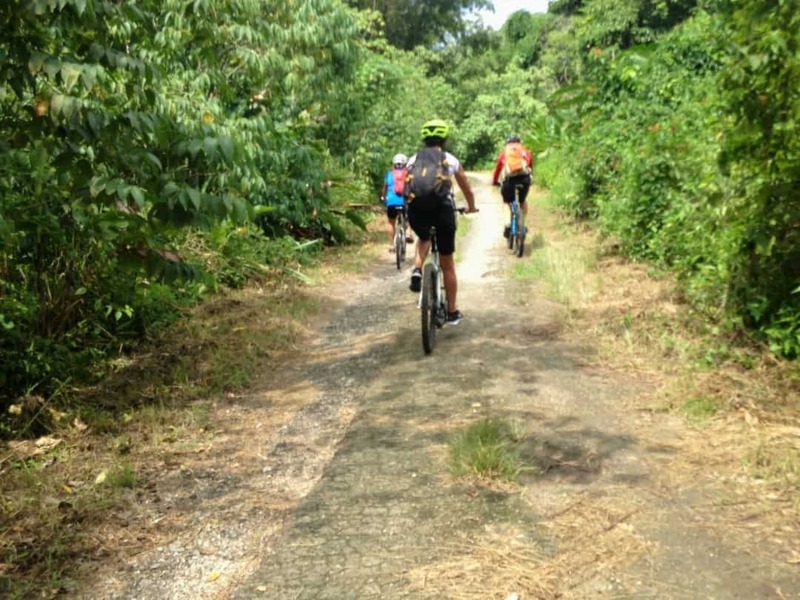 Out for a mountain bike. 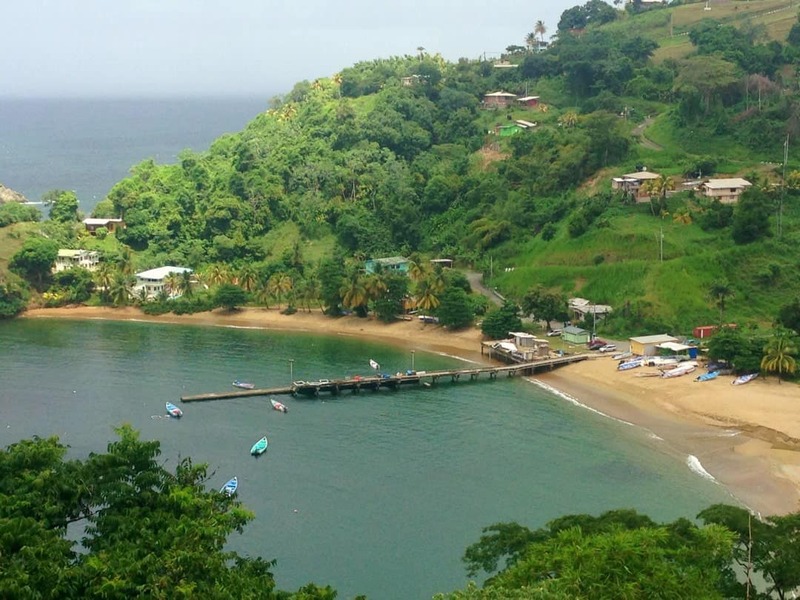 Like many Caribbean islands, Trinidad and Tobago’s history is an explosion of colours and cultures. The islands’ outlying location, some 7 miles off the coast of Venezuela, made it the first stop for slave-trading ships heading up the Atlantic. Common belief holds that plantation-owners had first pick of slaves; and, naturally, they chose the strongest, most attractive people off the boat. Factor in another few hundred years, and the current population resembles an ongoing audition at a fashion magazine. (Think I’m exaggerating? Check out this year’s – or every year’s – entry for the Miss Universe pageant, where Trinidad and Tobago often places in the Top 10). 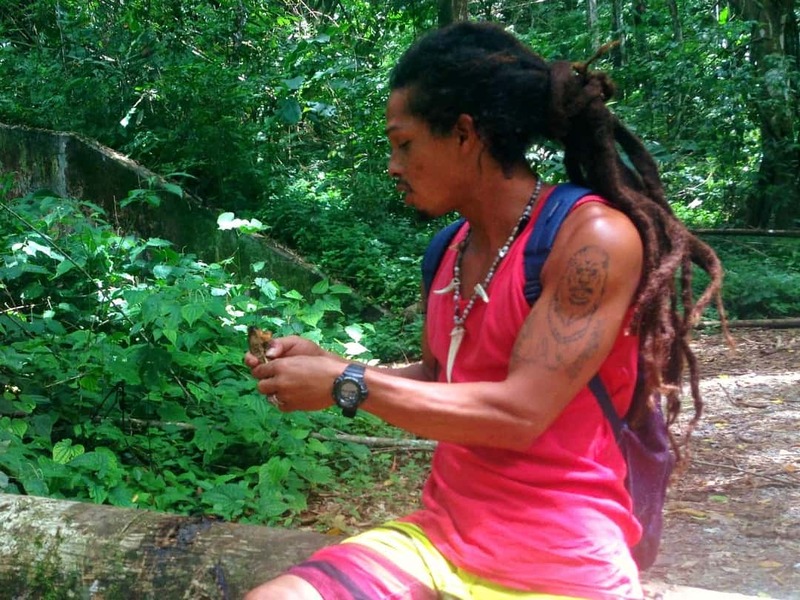 A local guide in Trinidad and Tobago. The original flakey Asian pastry is popular throughout the region. Yet Trinidad and Tobago’s version, introduced by Indian workers in the mid-1800s, makes the original dish look like boring dough. Double the size, flood with roasted vegetables and ground split peas, wedge in hunks of meat still attached to the bone, and you’ve got the world’s greatest stuffed meal since The Taco. 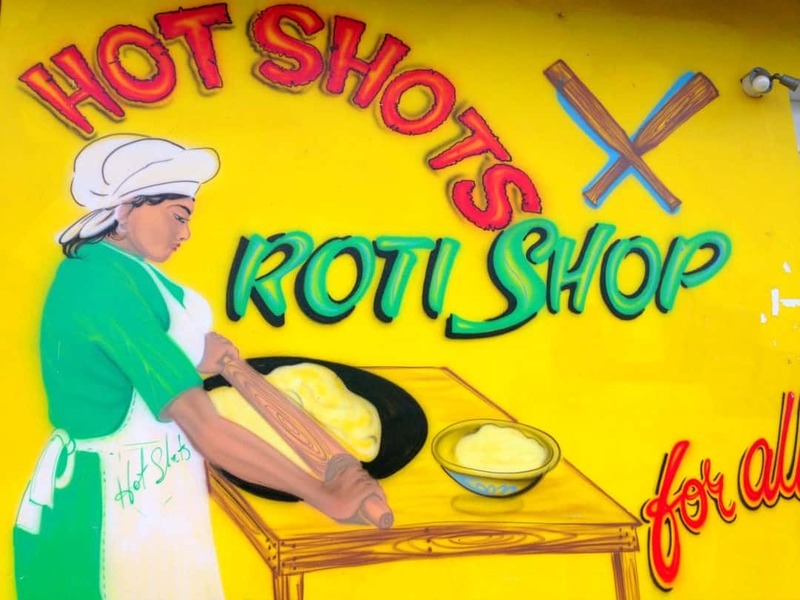 There are other Trinbagonian specialties (Creole chocolate, the world’s impossibly hot Moruga Scorpion pepper, and the fried bread ‘bake’ in assorted forms) but nothing infuses you with more heavenly satisfaction than a bite of roti. Measure the imperfect beat of a rain shower on the cracked sidewalks of Port of Spain, and you’ll hear the same confident tempo of the Trinbagonian accent. Natives are proud of their smooth speech, and quick to point out that it’s the easiest to understand. Not like those speed-talking Barbadians, or the Jamaicans with their indiscernible language. (Think that Jamaican accent you hear on TV is the real thing? Not at all; you’re either listening to an American actor – or else, he might be Trinbagonian). 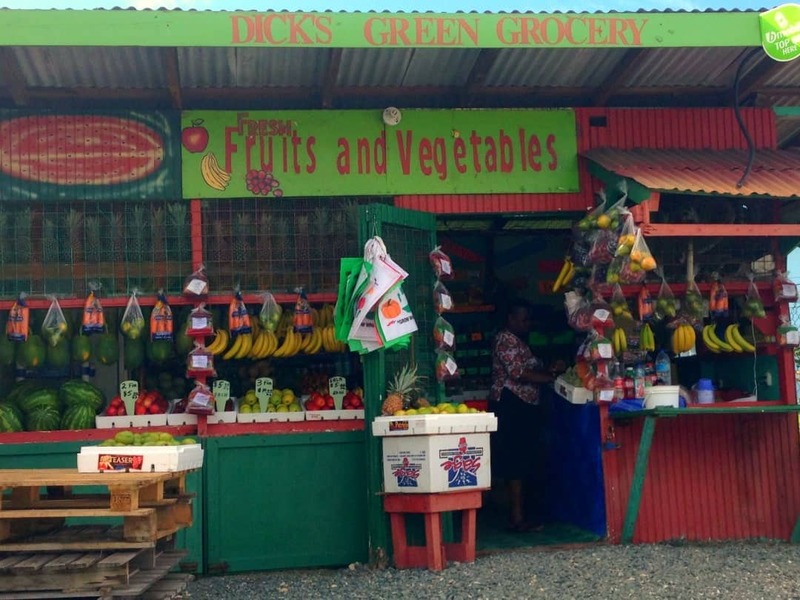 A fruit stand in Trinidad And Tobago. When a country boasts the world’s first legally protected forest (the Tobago Main Ridge Forest Reserve, established in 1776), you expect to find many protected creatures, too. Over 3,000 species inhabit the two islands, making Trinidad & Tobago the most biodiverse country in the Caribbean. While birders long recognised the country as a natural paradise, more recent developments in the conservation movement have turned eco-tourism into a growing industry. Some crowd-drawing animals, such as the Leatherback sea turtle, visit seasonally to nest on Tobago’s gentle shores; others, like the Tufted Capuchin monkey, can be heard playing daily in Trinidad’s northern forests. (With a little luck, you might also spot a few of the country’s 85 endemic species – such as the Scarlet Ibis or the fun-to-pronounce chachalaca – which feature on the national coat of arms). 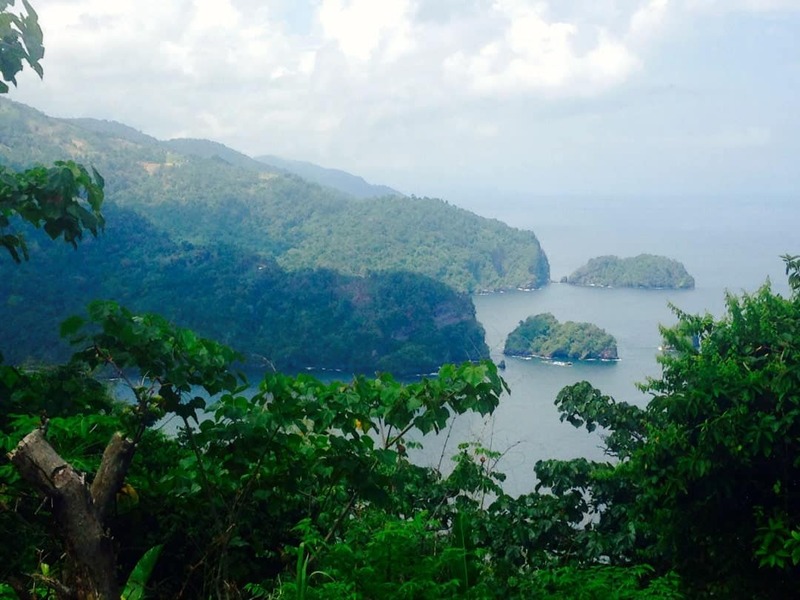 The Trinidad and Tobago coastline. Good luck finding a definition of the famous local liming. Not because the friendly event is a secret, but because it occurs in so many forms. From a night out clubbing to a casual mid-afternoon movie with your best friend: any time two or more people hang out in good spirits, they’re liming. The Trinidad and Tobago slang dates to the days when British sailors took their leave in port towns. Everyone knew the Brits ate limes to keep away scurvy, and supposedly, this citrus scent followed them into every bar and brothel they frequented. (Be careful not to confuse liming with wining: where one incorporates relaxed camaraderie, the other usually involves alcohol, exuberant hip swinging and a little romance). Counting kyats in a Burmese village, Kelli’s boyfriend figured she only had enough money to buy dinner, or a book. Naturally, she chose the book. Her trips often end this way, with an empty stomach but a bag full of paperbacks. When her passport’s not busy carrying her across Southeast Asian borders, or to her second home in Queenstown, New Zealand, her library card does the traveling. Now a gypsy momma with her own little nomad, Kelli explores the world from Los Angeles – and often, shamelessly, from the worn fabric of her armchair. Get lost in her library at Too Mutch For Words. What an excellent account fo my island home! I felt i was listening to myself telling my foreign friends about the wonders of T&T. you must be a Trini too! Glad you enjoyed the article. Kelli wrote a great article for us. Thank you for you kind words. We have never been to your island but would love to visit one day. And you are definitely right, the world is too beautiful. Have a great day.